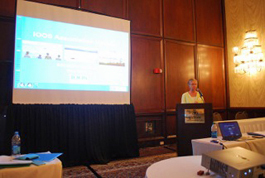 May 19, 2015 Josie Quintrell, IOOS Association Director, presented at the SECOORA 2015 Annual Meeting. 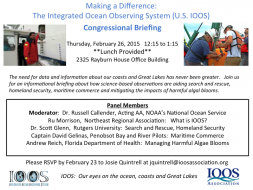 On February 26, 2015, The IOOS Association, in cooperation with the House Oceans Caucus, sponsored an informational briefing in the Rayburn House Office Building entitled “Making a Difference: The Integrated Ocean Observing System (US IOOS).” Moderated by NOS Acting Assistant Administrator Russell Callender, the event provided an overview of the IOOS system, as well as briefings from user perspectives. Click here to read more. Ocean acidification has the potential to fundamentally change the ocean, its habitats, food webs and marine life. In support of the shellfish industry, resource managers, researchers and citizens potentially affected by ocean acidification, the U.S. IOOS (Integrated Ocean Observing System), the Regional Associations of IOOS, and the NOAA Ocean Acidification Program (NOAA OAP) are working to provide critical real time data of ocean water conditions related ocean acidification to anyone with an internet connection. In this presentation we will share information about IOOS, and demonstrate how the Regional Associations of IOOS along the West Coast are working to meet the data and information needs of shellfish growers and others for monitoring for ocean acidification. We will demonstrate the new IOOS Pacific Region Ocean Acidification data portal and sharehow to access information and data related to ocean acidification. Over 30% of U.S. energy production and 40% of petroleum refining resources are located in the Gulf of Mexico (EIA, 2013), with more anticipated, and these are at risk from a broad range of threats, including weather (hurricanes, tropical storms, Loop Current changes, long-term ocean change), land subsidence, and terrorism. Damage to these energy resources incur high economic and ecological costs and threaten our Nation’s Energy Security. This flyer focuses specifically on weather threats and how GCOOS/IOOS helps reduce the impacts of those threats through environmental intelligence. On March 22, 2014, the bulk carrier Summer Wind collided with a barge owned by Kirby Inland Marine that was carrying approximately 950,000 gallons of fuel oil. Enroute from Texas City to Bolivar, TX, the ship caused a breach in the barge that resulted in an estimated 170,000 gallons of fuel being dumped into the Houston shipping channel in Galveston Bay, bringing port traffic to a near-standstill. As part of the monitoring effort to mitigate the spill,the Geochemical and Environmental Research Group (GERG) at Texas A&M University, a GCOOS member and data provider, deployed a Responder buoy, which is part of the Texas Automated Buoy System (TABS) fleet funded by the Texas General Land Office (TGLO). TABS Responder buoys are specially designed to track currents, waves, and meteorological information and are easily deployed in an emergency, requiring no lifting equipment or complicated set-up. The data being collected are helping state officials and managers track the movement of the spilled oil in Galveston Bay and as it moves out onto the Texas shelf. Data are also being assimilated into coastal circulation numerical models operated by Texas A&M University to monitor currents and winds on the Texas shelf in near real-time, hindcast, and forecast modes. The TABS Responder buoy was deployed on March 24, near the TABS B buoy and will collect data for the next two to three weeks. The data are currently available on the GERG TABS website (http://tabs.gerg.tamu.edu/tglo/) by clicking TABS B buoy on the map or by clicking here. To read more about the Houston Ship Channel oil spill, click here. To learn more about the TABS program, which was highlighted earlier this month as part of the GCOOS Data Provider series in the GCOOS Newsletter and on the website, click here. To read more about the TABS Responder buoy design and future efforts, click here. 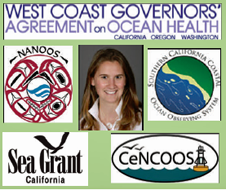 In 2012 a memorandum of understanding was signed by the West Coast OOSes and the WCGA to collaborate on ocean health issues like marine debris and ocean acidification. An outcome of this agreement resulted in a one-year West Coast Oceanographic Data Integration Fellowship that began November 2013. Laura Lilly, who currently sits at the SCCOOS program office at Scripps Institution of Oceanography in La Jolla, will focus on the identification of priority regional management questions and information needs. She will work with state ocean acidification science panels and the WCGA Marine Debris Action Coordination team to understand the oceanographic data needs and develop products tailored to meet those needs. The data products will be made available through the West Coast OOS sites, WCGA, and state data portals for wide dissemination. The fellowship was administered by California Sea Grant. If you wish to learn more or contribute your data to the Portal, please contact Todd Hallenbeck (Todd.r.hallenbeck@Westcoastoceans.org). Read her first blog post titled, "Chasing Waves and Navigating West Coast Ocean Policy." 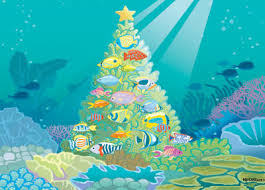 Happy Holidays from the IOOS Association! We appreciate working with all of you and wish you a happy, healthy, joyous holiday season. Thank you for all you do on behalf of the ocean! Marine and fresh waters teem with algae, much of it microscopic and harmless, which forms the base for our complex aquatic food webs. Some algae, though, produce potent toxins that can cause die-offs of marine animals like manatees and sicken or even kill us when we eat contaminated seafood or use tainted water. Other non-toxic algae produce high biomass that reduces water quality and damages critical marine habitat. 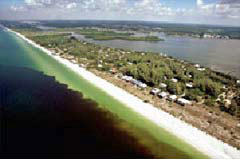 Harmful algal blooms now impact every coastal region. IOOS has released a video about these effects and what they are doing to help. NOAA maintains an operational HAB forecasting system to help states and industry manage risks from harmful algal blooms that now impact every coastal region. Real-time environmental data from IOOS has also proven critical for assessing HAB threats. In the Puget Sound, hourly ocean temperature and current data have helped scientists identify conditions that can trigger toxic algae outbreaks and make shellfish unsafe to eat supporting an alert to Puget Sound oyster growers. Integrating routine HAB cell and toxin abundance data into IOOS regional networks will enhance these alerts and our ability to predict movement of HAB events so decision makers can take targeted action, such as closing a beach to avoid illnesses caused by blooms of harmful algae. 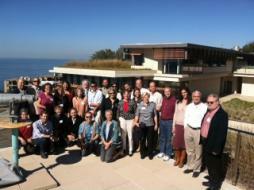 IOOS Fall Meeting a Success! The agenda covered a wide range of priority topics including the four “Joint Planning” topics for FY14 (DMAC, modeling, observing, communications), certification, and common products. The agenda also included a collaborative discussion with NOAA Fisheries convened at the new Southwest Fisheries Science Center facility across the street and hosted by Center Director Cisco Werner. Attendees also toured the SWFSC facilities, the Scripps Glider Lab, the Coastal Data Information Program which specializes in wave measurement, and the Scripps Birch Aquarium to review education and outreach ideas and kiosks. 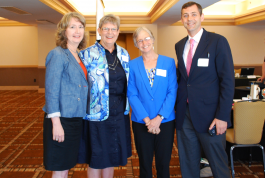 The meeting also included discussions with NOS AA Holly Bamford, and new Scripps Director Margaret Leinen. A meeting summary is in progress.